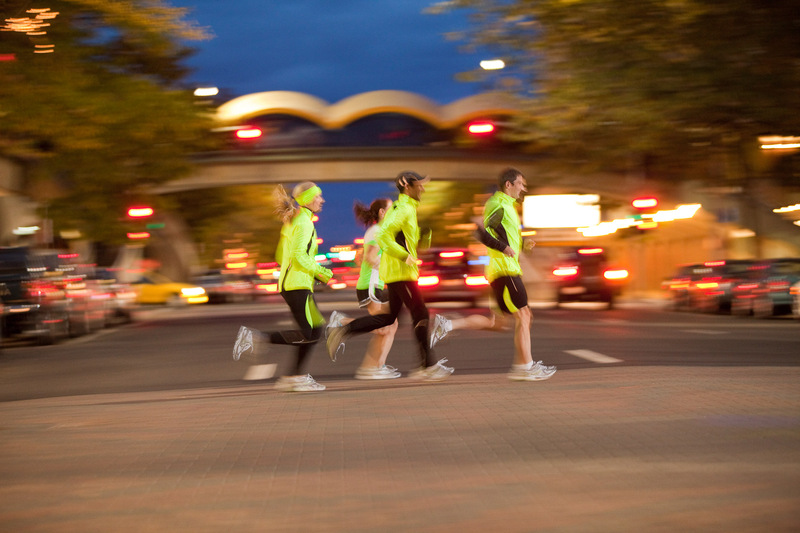 Group of runners with reflective clothing running at night on city street. Spokane, Washington. Fitness. David Zaitz Photography.